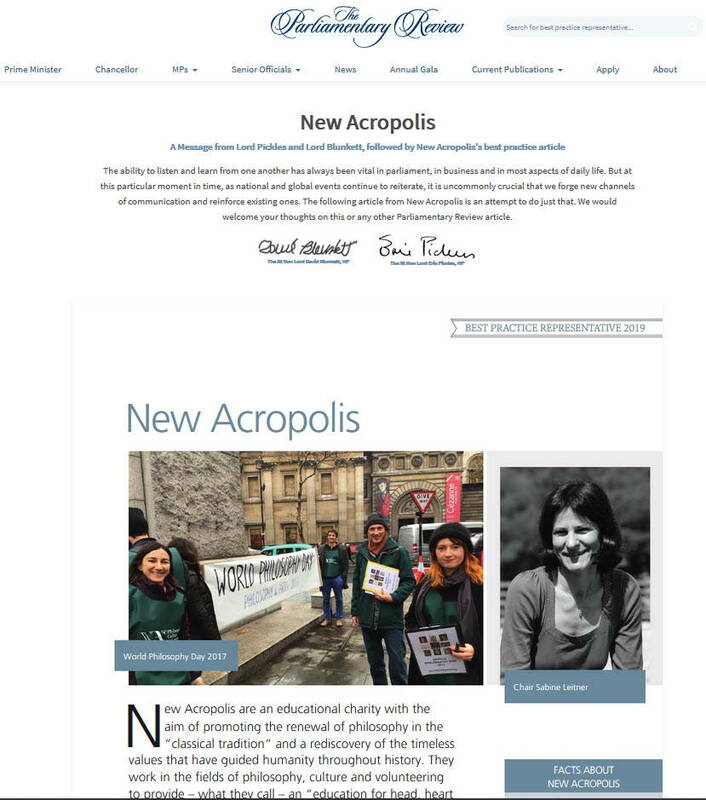 New Acropolis UK are very pleased to announce that we have been featured in this year’s Parliamentary Review for Education Services 2019. 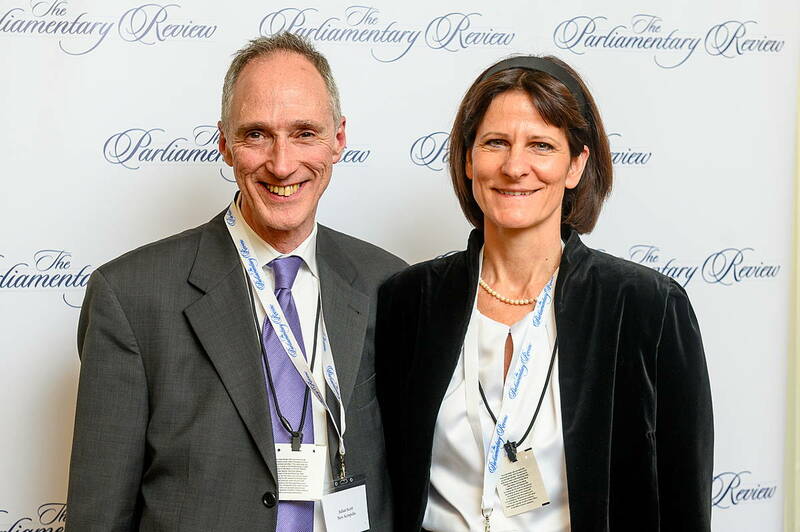 The Parliamentary Review is a British government publication which highlights best practice in different sectors of activity and is designed to inform policy makers in all areas of social, economic and political life. It is described as ‘an indispensable guide to industry best practice, which demonstrates how sector leaders have responded to challenges in the political and economic environment’. New Acropolis UK is featured in this year’s Education Services review. The article describing its work discusses the importance of philosophy in the classical tradition, the value of culture and the ways in which volunteering can develop important human qualities. Together these form a philosophical education that can become a foundation of a future where both individuals and society can flourish. Representatives of New Acropolis UK also attended a Gala event at the Palace of Westminster to mark the release of the review and further promote the organisation’s activities. 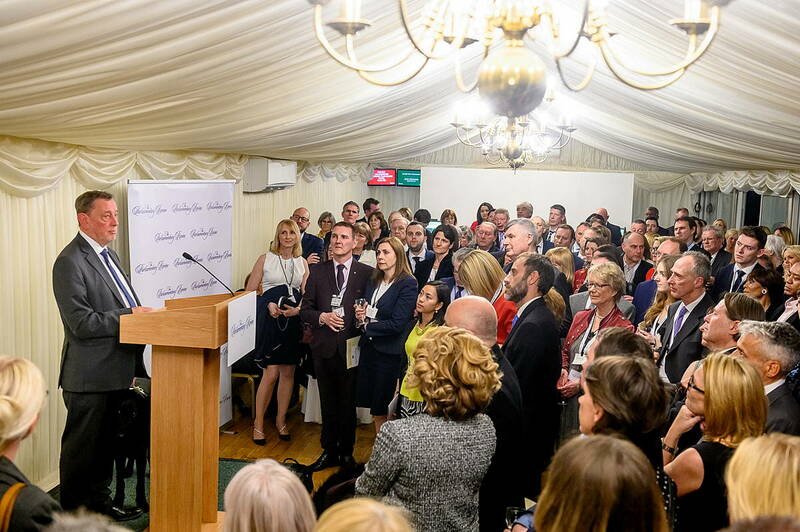 Each year the review is sent out to over 500,000 business leaders, policy makers and other relevant individuals.